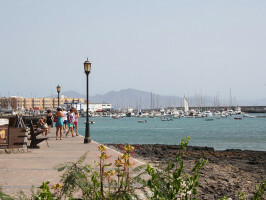 We begin in Corralejo where there´s great shops, bars, restaurants and stunning beaches. 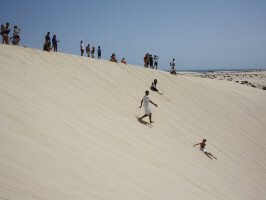 Then we head down the coast to walk across the perfect white dunes. 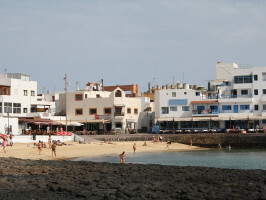 We´ll explore fantastic beaches where you can swim or snorkel. 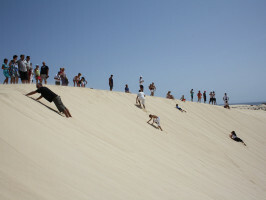 This is a full day out and fantastic value for money! 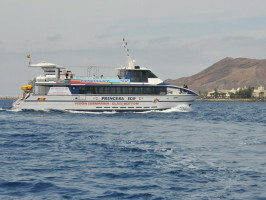 Fuerteventura Express Fast, cheap and reliable Ferry Service. 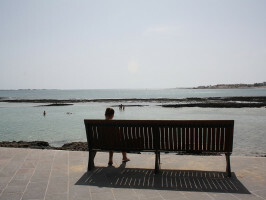 Explore the island at your own pace! !